We all have needs in life and Magic can help to fulfill those needs. You are looking for love and it can be achieved with spells and magic. 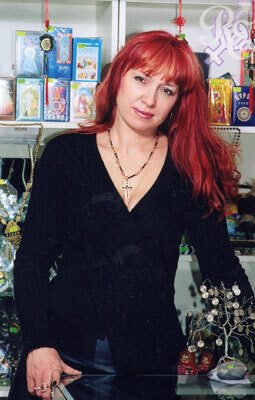 We are happy to inform you that all our members are protected by the famous Rostov magic woman Elena Markarian-Martynova. By joining our agency, you’re automatically getting the spell on successfully meeting the best partner for a happy family life in love, harmony and easy circumstances. All our men and women members are protected from illness, stress and competitors. All your competitors will make way for you towards happiness and love. We are doing this absolutely free for you, we are trying to do our very best to help you in your search for love. The positive energy which is given to you by Elena will help you to have faith in yourself and your lucky stars. Whether you believe in the power of Magic or not your dreams will come true! Age: 44 Height: 5 ft 1"